Visa fees to be paid in cash or card upon submission. Entrance to the centre right after the lifts. Head up to the fifth floor and get a number. They have a booth inside to take your passport photos and make photocopies of relevant documents if you haven't done that before. It was quite efficient when I went, I probably waited about twenty minutes for my number to be called, dropped off my documents and was given a receipt with a collection number on it. 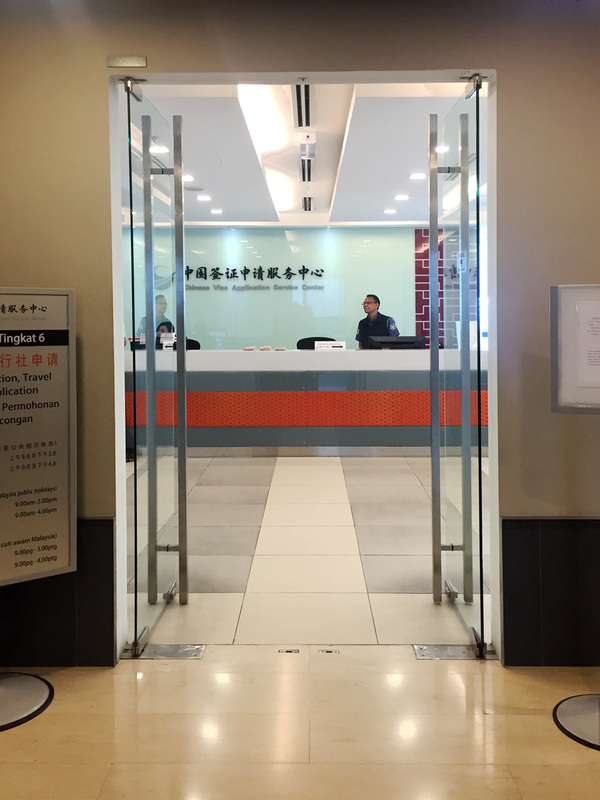 It usually takes 3-4 working days (although they generally recommend a leeway of two weeks), and the collection process was equally easy - head up to the sixth floor, grab a number and wait to pick up the passport and visa. Payment is made on pickup. Waiting area for document pick up. Numbers are called out on screens around. I found the whole process quite easy and straightforward - definitely a far cry from how complicated it used to be. Now the systems are computerized it's made things a lot easier for sure, but like all visas, don't take your chances at the last minute.